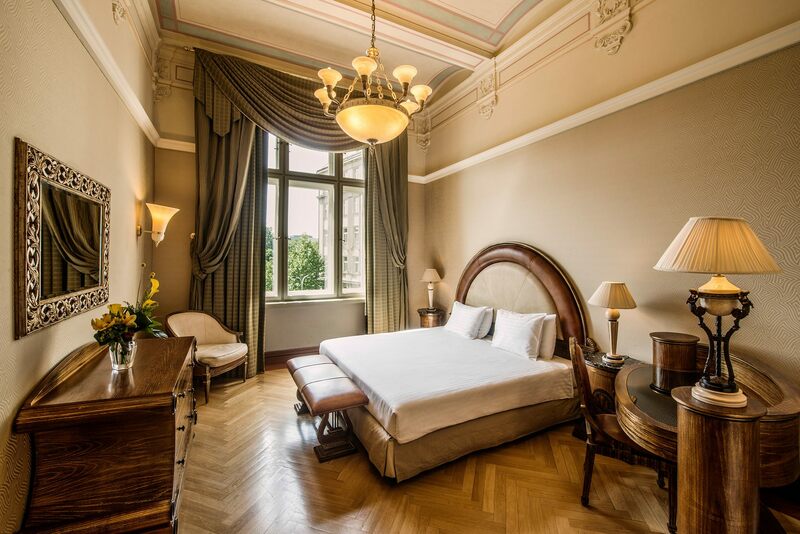 Set in the vibrant heart of Prague, Carlo IV provides exceptional guest services and a truly boutique hotel experience. The hotel features a wellness centre, including a pool or a whirlpool. Guests can enjoy here an ample menu of personalised treatments. The hotel's rooms are designed to relax and soothe. The restaurant menu offers modern Czech, Mediterranean and international dishes. A precious collection of cigars, a selection of cognac, liquors and prestigious wines can be found in the Vault Bar. If planning a social event, you can choose any of its 12 venues. You can organise your wedding here too. The hotel offers a luxurious haven for those wishing to enjoy the best the capital has to offer.